Here is your musical treat for the weekend, a big batch of GUMS! No, not "gum", GUMS! That's plural, all caps, 81.4 percent jangle, 15.9 percent punk, 65.7 percent twee, 99 percent beer, and 100 percent DIY. However, there are no artificial ingredients -- this gang is Glasgow indie from skin to bone. Through the course of their credible, but not yet famous, career the band has issued singles, EPs and split releases. 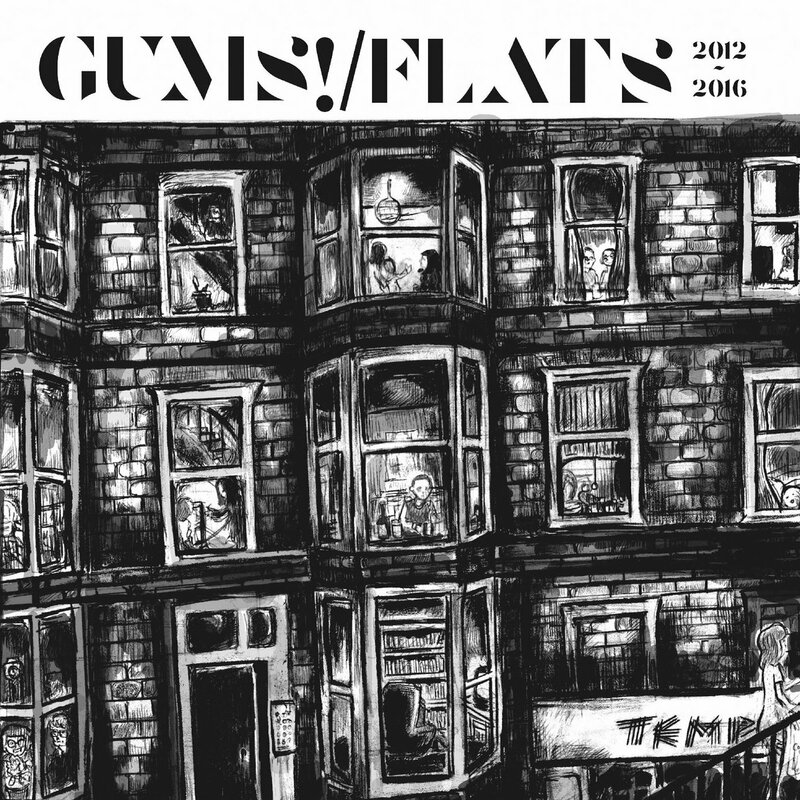 They claim to be working on a full length of their very own, but have generously decided to offer the best 14 songs of the period 2012-2016 as a free download compilation titled Flats (2012-2016). So get busy, and collect some of the finest free music you can find short of shoplifting. The main man of GUMS! is Martin Smith. Other players include Jack Taylor, Nora Noonan, Gave Gillies, Joe Greatorex, Tommy Duffin, and Callum Baird. By the way, we have no idea whether main man Martin Smith chews gum, but we have our top interns checking it out. On their second album, the newly released Used to Yesterday, Smokescreens doesn't try to disguise their influences. But when your influences are early Flying Nun bands, '80s British guitar pop, and California guitar pop from the '60s forward, why the hell would anyone want it hidden? And by the way, in the unlikely event that the band compiled the album as an audition to be a When You Motor Away house band -- and who wouldn't want to do that -- they passed the audition with top marks. The joyous sounds kick off with the buzzsaw guitars of "Someone New", reminding us of member Corey Cunningham's former project, Terry Malts. And then, it gets even better, with the glorious jangle of the title track followed by "The Lost Song", which could have been 'lost' off an '80s album by The Wedding Present or The Clean (and either would be happy to claim it, we suspect). "Jolly Jane" lives up to its name with a happy garage pop vibe. "Buddy" provides the rare slower tempo with a bit of Kiwi-style melancholy. The upbeat vibes ramp up again with the next song, the Brydsian "Waiting For The Summer". '80s New Zealand is further represented by a cover of Wasp Factory's "Steel Blue Skies". And for us, the final three songs of the album provide the cherry on top, with the set of "Fool Me", "It's Not Right", and "Falling Down" blending the folk rock of The Bats with '60s British Invasion garage pop. Used to Yesterday offers terrific melodies, great vocals, top songwriting, and all the style boxes ticked we could ask for. This album may never leave our rotation. Smokescreens are Chris Rosi, Corey Cunningham, Brice Bradley and Jenny Moffet. 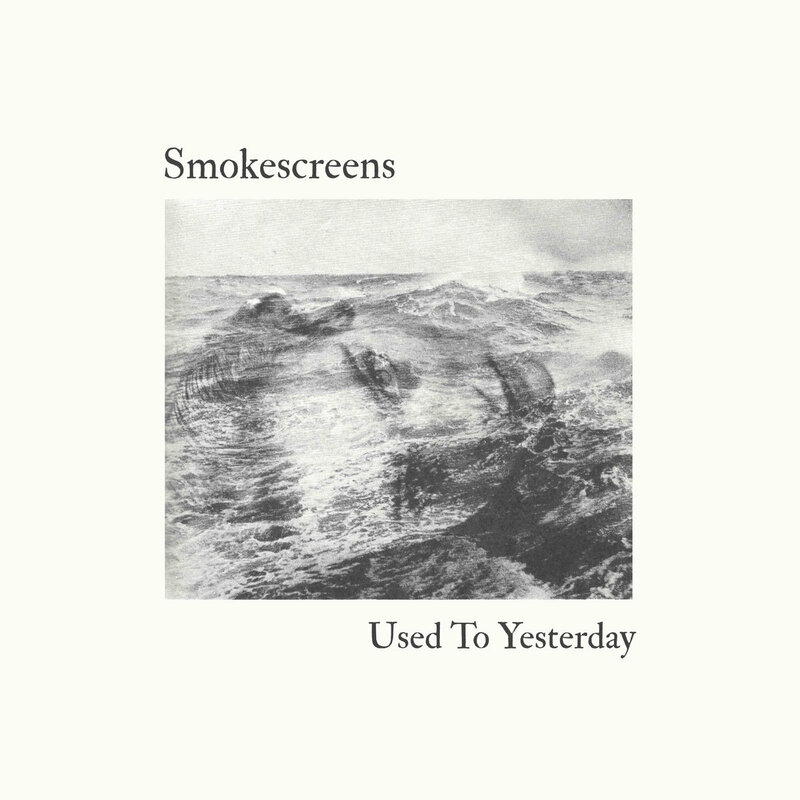 Used to Yesterday is out now via Slumberland Records. One of our favorite albums last year was Delusions of Grandeur, by The Salient Braves (link to our review). Matt Bailey and his pals have been a bit quiet on the release front since last fall, but that is understandable as counting the piles of money earned from that record must be very time consuming. But the musical muse has done its work, and they are back with a new single titled "Slob". The song reflects this band's appealing sweet spot -- melody, humor and wry commentary on the human condition. In this edition, we hear the lament of a man who has let himself go and been abandoned by his love. We like a track quite a bit, and we suspect you will as well. However, we are firm in our denials that we were the model for the cover art. We can't un-see that, you can't un-see that, but in any case it isn't us. How about a combo meal for lunch today? With some heavy garage, garnished with swirling psychedelia, we can offer "BirdHouse" by Seattle's Weep Wave. Stream it below, and click on the download link for a free download. If you love King Gizzard and the Lizard Wizard, you are going to love this song. We've been sharing it with the guys in the nearby offices with it all morning, I hope they like it. Weep Wave are Fuentes (guitar & vocals), Dylan Trujillo (bass), Colton Harold (synth), and Van Wolfe (drums). My oh my - you really need an introduction to Chicago's The O'My's. The duo of Nick Hennessey and Maceo Vidal-Haymes offers tightly constructed and emotionally packed pop tunes influenced by R&B, psychedelia, doo wop, and soul. Nick plays keys and Maceo plays guitar and sings. We understand an album is in process, but until it arrives, you can feast on "Baskets" and "Starship". One of the late summer releases we are eagerly awaiting is How We Made It, by Norwegian star Frøkedal. The Oslo-based musician possesses a magnificent voice and proves equally adept at creating intriguing pop songs. The album will be release at the end of August by Propeller Recordings, but your ears can have an aural glimpse via album track "David", below. Featuring sparkling instrumentation and seductive vocals, it has become the soundtrack of our morning. We are starting the week with some DIY indie pop from London. Energetic and original, it makes Monday morning a venture worth undertaking. It also is available at 'name your price', and since we spent most of our budget on beer and ice cream due to the hot weather (yes, beer and ice cream, but not at the same time -- we aren't animals), that price is very welcome. 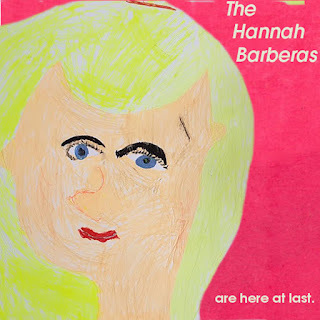 So get to know The Hannah Barberas via their appropriately-titled The Hannah Barberas Are Here At Last. There are two original songs and a cover of McCarthy's Red Sleeping Beauty (a fine song that also gave its name to a wonderful, long-running Swedish indie pop band). The Hannah Barberas are Damien, Lucy, Doug, and Matthew. The EP is available at the Bandcamp link below.